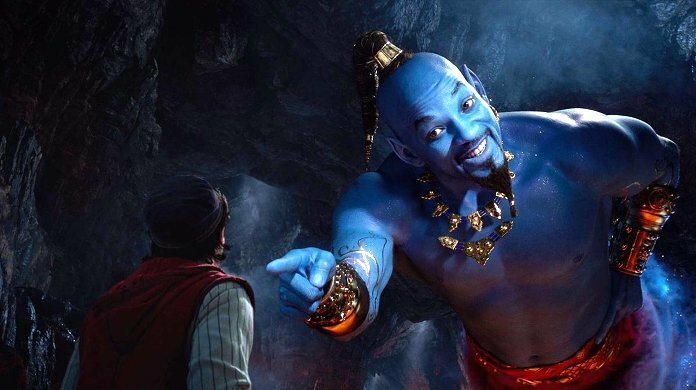 NEW Aladdin trailer reveals Will Smith as Genie!! Just give a rub like so! Will Smith shows Aladdin why he never had a friend like him in new trailer for the upcoming live action version of Disney’s 1992 original animated feature. The film is directed by Guy Ritchie and stars Mena Massoud as the title character alongside Will Smith, Naomi Scott, Marwan Kenzari, Navid Negahban, Nasim Pedrad, Billy Magnussen, and Numan Acar. Aladdin arrives in theatres May 24.